Whittlesea is a suburb of Melbourne about 40 kilometres northeast of the CBD. It has a population of about 5000. Kinglake West, Pheasant Creek, and Upper Plenty are its neighbouring suburbs. The Whittlesea Primary school, an old stone building opened in 1878, is still the home base for the local primary school. The name Whittlesea was thought to be from its English origins of Whittlesey. More recently, and tragically, Whittlesea was where firefighters set up base to coordinate relief and national support following the Black Saturday disaster in 2009. The City of Whittlesea is located in the north of Melbourne, about 20 km from the CBD. It’s one of the largest municipalities in metropolitan Melbourne covering an area of roughly 489 square kilometres. The city is approximately 70 percent rural and 30 percent urban. The area is comprised of the normal conglomeration of houses, shops, and factories. The City of Whittlesea is also home to Australia’s fastest growing suburb over the last ten years – South Morang. There is also massive progress and redevelopment set to take place in the city’s established areas such as Thomastown, Epping, and Lalor. United Smiles sees patients of all ages and has been providing dental treatments for people located in Whittlesea, Beveridge, Mernda, Doreen, and surrounding areas since 2013. At United Smiles, we provide specialty dental care services such as endodontics, orthodontics and general restorative and cosmetic dental procedures. Our dental professionals have the expertise and experience to put you at ease and keep you comfortable before, during, and after your treatment, while delivering outstanding results to ensure you retain that beautiful smile. Your Whittlesea dentist knows that each person has individual dental needs. 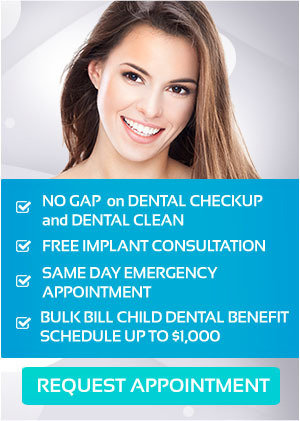 That is why we offer a comprehensive range of dental treatment options in our comfortable modern environment. Our dental surgery includes ample parking at the rear of the building. Wheelchair access is also available at the front of the building, and all of our surgeries have been built to accommodate this. Our entire dental team is looking forward to improving your oral health and as a result the quality of your life. Book your appointment online or call us on (03) 8682 8658 today!